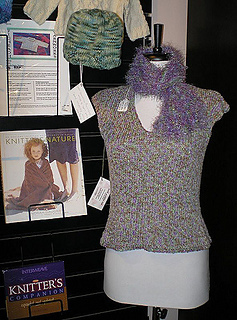 A quick knit in ribbon yarn and a useful addition to your spring and summer wardrobe; this flattering sweater is slightly fitted at the waist and the cap sleeves, created with left and right slant increases, fit snugly over the shoulder. It is worked in one piece, beginning at the hem, with shoulder seams. The skill level is intermediate because V-neck decreases and cap sleeve increases are worked at the same time. 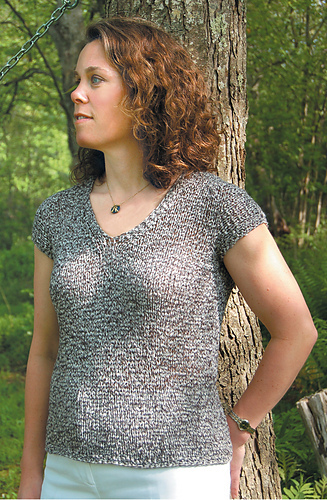 The crochet trim for neck and sleeve edges is optional.